Back workout - WOFB Live! Awesome back workout...stronger than yesterday. - Up-right-rows 3 sets 20,15,15 reps Rear flys 4 sets 20,15,15,15 reps Bent over rows- close grip, 4 sets 15,12,10 reps (last set til failure, heaviest weight, remove weight, repeat reps, remove weight, til failure) Bent over rows- wide grip, 4 sets 20,15,15,15 reps Always warm up and stretch before and after workout. 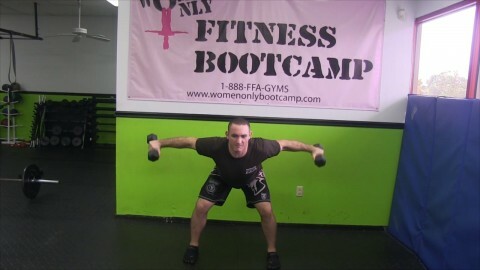 WOFB COACH EDGARD UPPER BODY WORKOUT! Jump Squat With ResistanceThe DreamKiller Workouts!